Home » Husbandry » Breeding » Prehistoric Pets: T+ and T-, Is He Talking About Blood? Prehistoric Pets: T+ and T-, Is He Talking About Blood? On the Web - Ever wonder what the reptile guys are talking about when they say T+ or T- (tyrosinase positive/negative)? Jay shares just a little of what he has learned over the years. 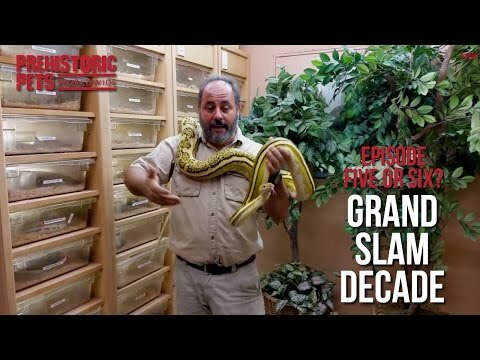 YouTube - The guys at Prehistoric Pets wrangle two reticulated pythons in order to collect their eggs, and Jay gives us some information on breeding and incubating eggs. 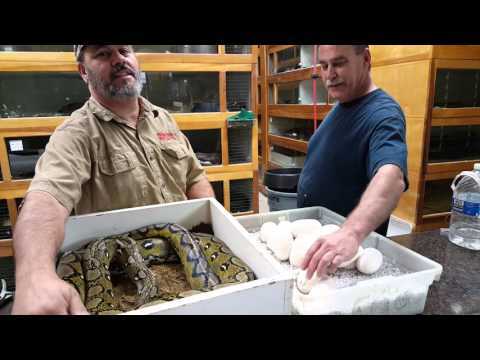 YouTube - Jay cuts a clutch of reticulated python eggs while answering some questions about Prehistoric Pets and his Best of Awards from The Reptile Report. 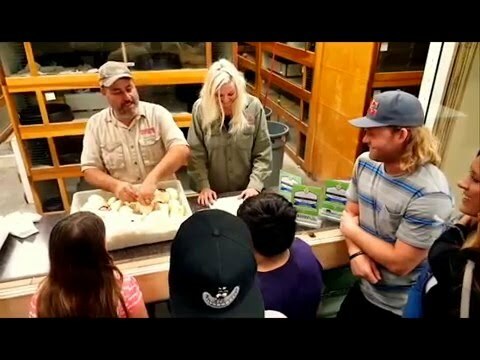 Facebook - Jay at Prehistoric Pets shows off a large snapping turtle that is likely to be over 150 years old.